Sergio Marchionne, our favorite Guy Who Definitely Has Solid Plans and CEO of Fiat Chrysler, revealed a plan to push his company towards hybrid and fully electric models, which isn’t such a bad idea. The bad news is that it’s been decided Maserati will be the halo brand for this. 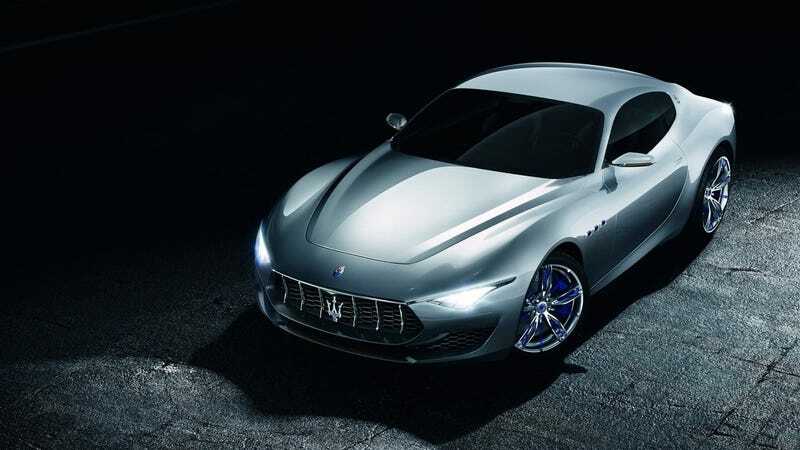 “When it [Maserati] completes the development of its next two models, it will effectively switch all of its portfolio to electrification”, said Marchionne. Maserati taking the lead on FCA’s electrified model lineup is probably bad for a few reasons. The first, being completely emotional about it, is that Maserati has always had unrestrained styling and lovely, throaty and loud engines. It’s been known to offer a sort-of harsh ownership experience and brand image that once made Maserati stand out. Of course, Maserati hasn’t really stood out for some time, and that’s the second issue with this light rebooting of the brand. Other brands, like BMW, McLaren and Porsche have all introduced electrified technology to consumers through expensive performance models. Those brands can do that because they have enough cache and weight to not really suffer if things didn’t work out. Maserati may not carry the same weight. I’ve always thought it would be nice to electrify, like, Chrysler or something, and rebuild the meat of FCA with Chrysler, Dodge and Fiat to a level where you could sustain some absolutely insane performance cars over at Maserati and get away with it clean. But this could be a good thing, as clearly Maserati is a brand in need of some sort of new direction (along with Chrysler and generally most of FCA’s other brands), and introducing electrified technology in a performance brand first could help build an appealing reputation for such technologies to filter down into everyday, less expensive and less performance oriented models of FCA’s other brands. I’m torn. I want Maserati to be relevant and exciting and I love the idea of somebody throwing a load of money at the brand. Simultaneously, I’m frustrated it may all end up so uncharacteristically Maserati that it will be completely rejected. FCA has to do something, and Maserati has to do something, and if we look around, electrification seems to be the something to do. Perhaps the execs will look to model it after what Aston Martin has planned—introducing brand new V12s and manual transmissions while simultaneously developing supportive electrified technology. Yeah, Maserati, do that.